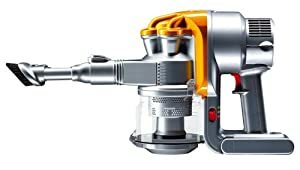 Genuine Dyson DC16 Handheld Titanium Main Body (Genuine) Dyson Part Number: 912516-01&n..
Genuine Dyson DC16 Handheld Wand Assembly Detachable long-reach wand Lightweight alumini..
Dyson Flexi Crevice Tool Compatible Flexi Crevice Tool. Is of high quality. Extends..